Forming part of the rugby specific Incurza collection, the adidas Incurza SG Kids Rugby Boot takes inspiration from the high end Predator model. Created with a Bravo upper material for a strong, light and secure feel, padding inside the ankle and heel ensures a snug fit that is high on comfort but also helps protect your feet. For great performance across soft natural surfaces, a pattern of six metal tipped screw in studs are spread across the sole. 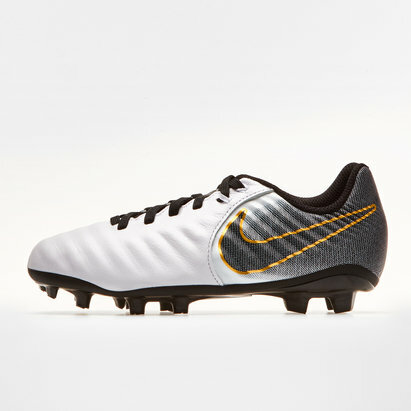 Varying in size, these ensure power and stability when you take to the pitch. 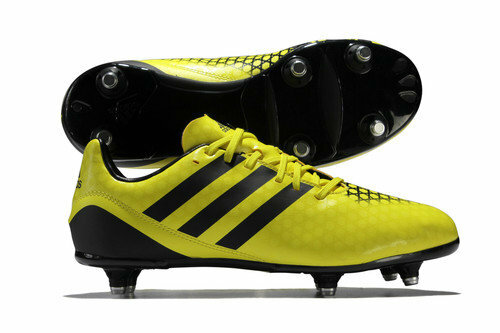 This rugby boot weighs 233g (UK 5).